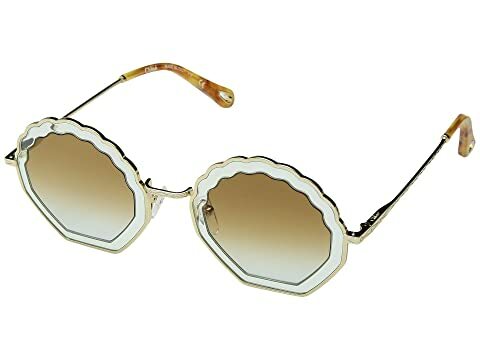 Get a clear perspective for the day wearing these Chloe® sunglasses. Strong metal frame and temples with durable plastic trim. Smooth plastic lenses provide 100% UV protection and features scalloped detail in stunning lens-inside-lens construction. We can't currently find any similar items for the CE147SL by Chloe. Sorry!